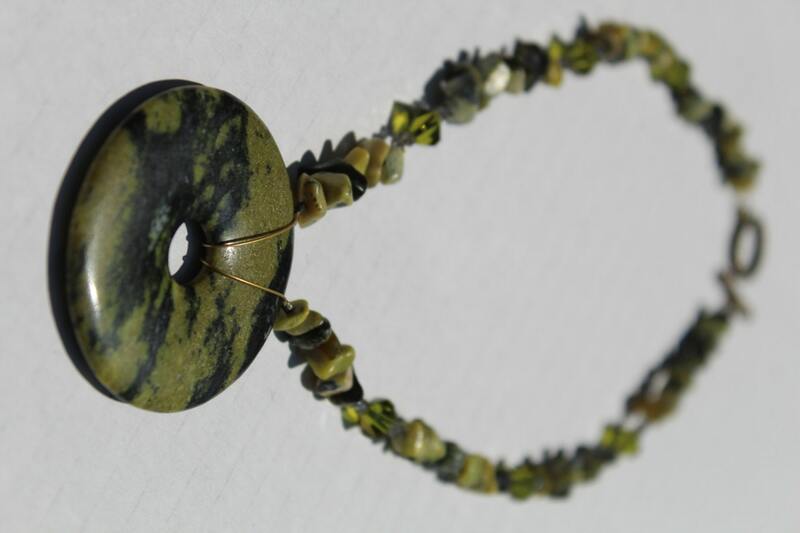 Yellow turquoise chips are yellow, green and black in color. 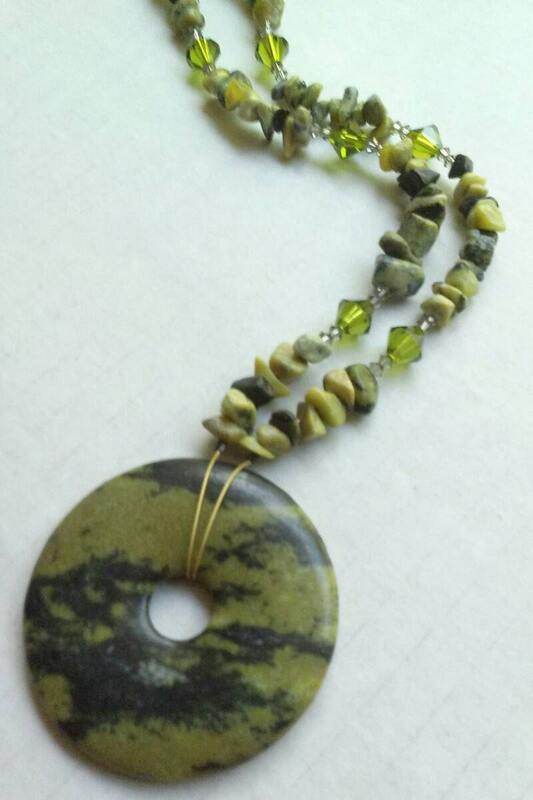 This rugged, stone, statement necklace has a gorgeous donut as its focal piece. 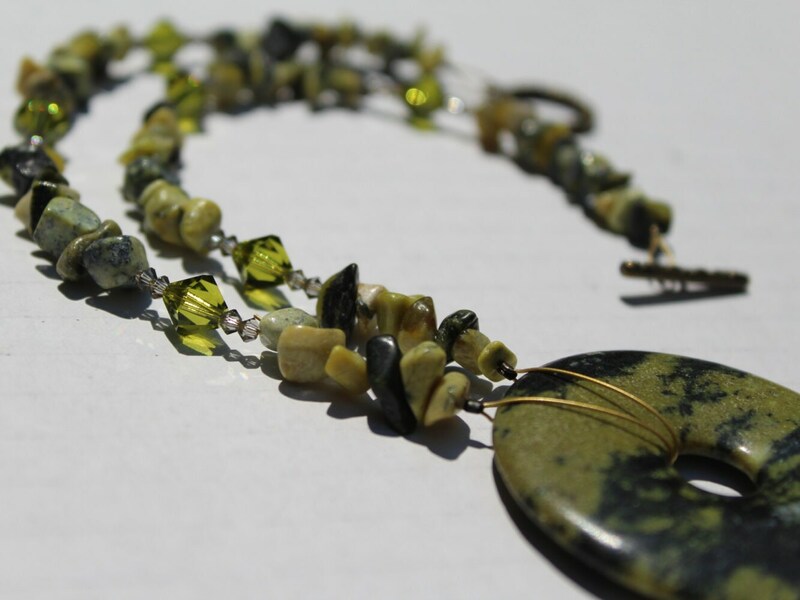 The yellow turquoise chips are separated by genuine Austrian crystals...just to add a little sparkle to that ruggedness. 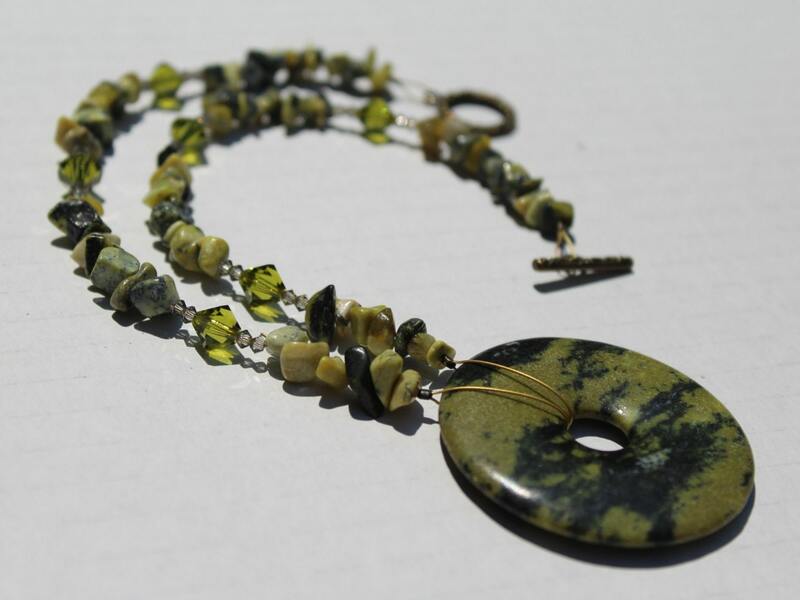 Yellow turquoise is a jasper stone that is said to be helpful for enhancing communication, intuition, and creativity. 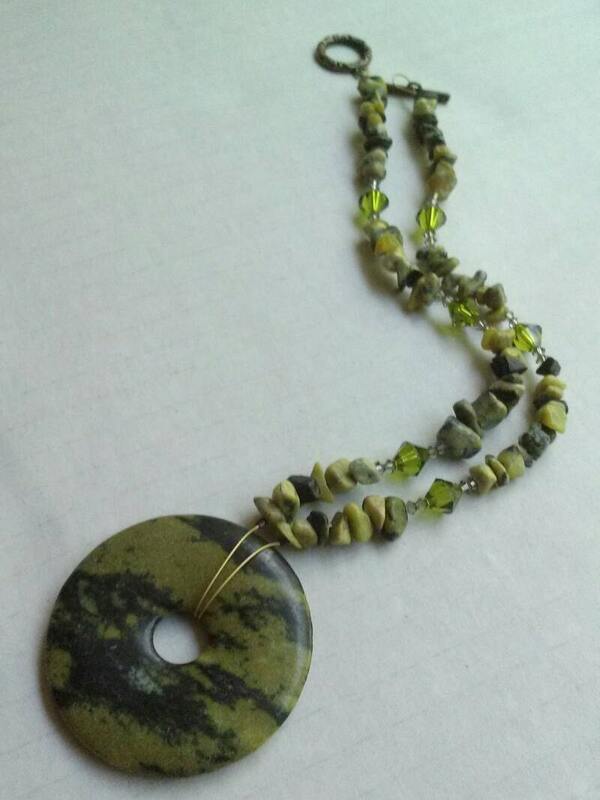 This necklace has a toggle clasp, so it's easy to get on and off. It measures approximately 18 inches long.